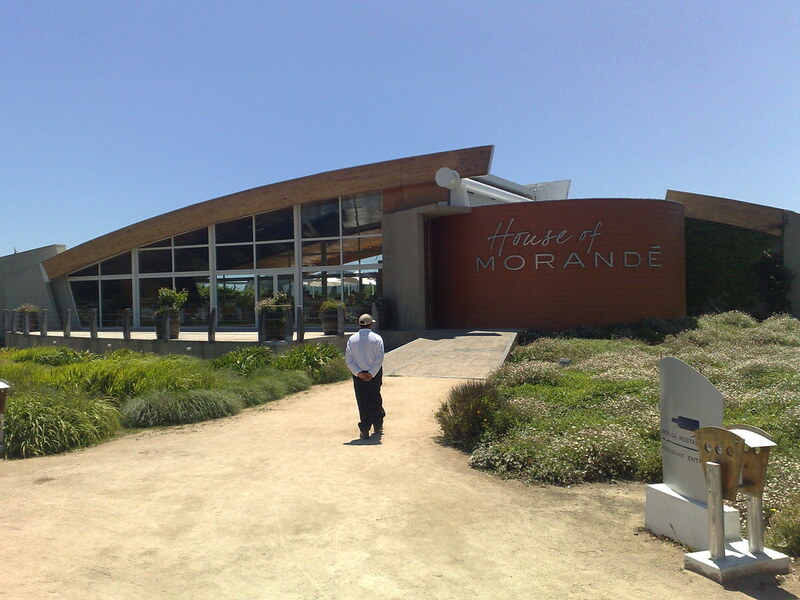 We started of on Saturday and our first stop was the Restaurant House of Morandé which is where the Vineyard Vina Morandé is. This is a beautiful place and we did take two pictures there (link) (link) The food was very nice and the atmosphere was amazing. 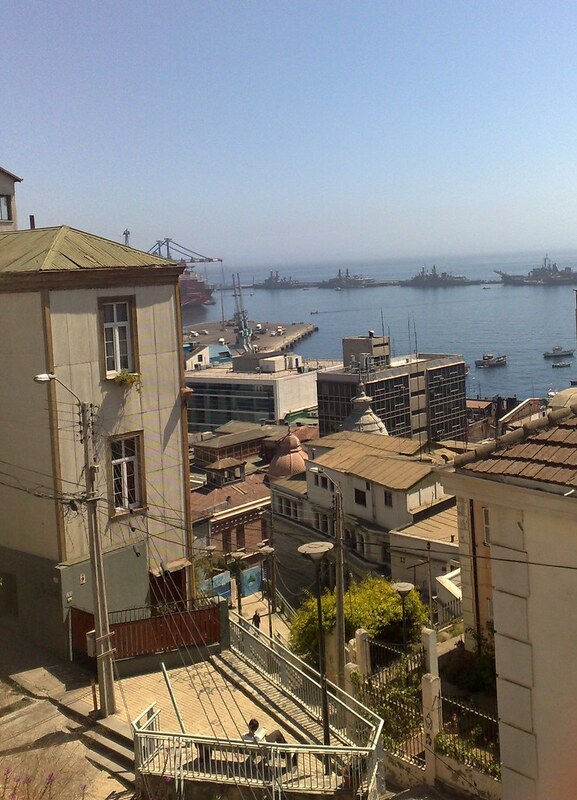 After the late lunch there we continued to Valparaiso. Once there I switched on the navigation with my Nokia N95. It did seem that the Nokia took us over every hill before getting us to the Hotel Ultramar where we staid. This was a nice little Hotel about 10 Minutes walking away from the Restaurant area in the part Conception. We had a small rest and a look round the beautiful city and then decided to go to the Restaurant Cafe Turri here(link))which was recommended to Liz by one of her work colleagues. This Restaurant is AMAZING!!! The next day we went for a walk around the city in the Morning and had lunch in Le filou de Montpellier a tiny French Restaurant. While the food was not as outstanding as in the Turri it was very nice and the price was very interesting (about 7 Euros for a 3 course meal excluding drinks). 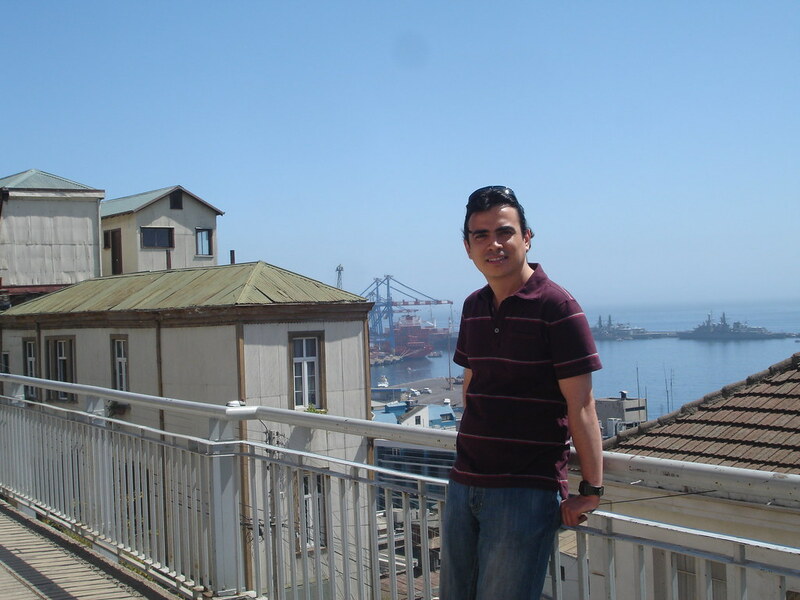 In the afternoon we went to nearby Viña del Mar which apart from the seaside has nothing much to offer (at least not what we discovered). It is a very tourist place with crowded beaches and I did not find anything special or nice about it. But of course I might be wrong 🙂 Anyway it was a fantastic weekend…..
Cafe Turri amazing Restaurant with nice atmosphere live music a big variety of Chilean Food and an excellent city and sea view. Glad you made it out our way! It’s a great city, and I give points to anyone who prefers it to Viña (which is quite fome, in my opinion). Epif (http://www.epif.cl) is a fabulous and inexpensive vegetarian restaurant. Open for dinner only, and drinks until 2am. Samsara (on Almirante Montt, kitty corner from Le Filou de Montparnasse) serves great Thai food. Cafe con Letras (Almirante Montt) is a nice spot for coffee, snacks, and sports an excellent tea menu. It doubles as a bookstore: fun. Allegretto (http://www.allegretto.cl) has really nice specialty pizzas, especially good with a Puerto beer from the tap. Also happens to be just about the only restaurant open on Sunday nights. Pasta e Vino (http://pastaevino.blogspot.com/) is pretty widely acknowledged as the best gourmet restaurant in Valparaíso. It’s also the only place in the city where a reservation really is necessary. 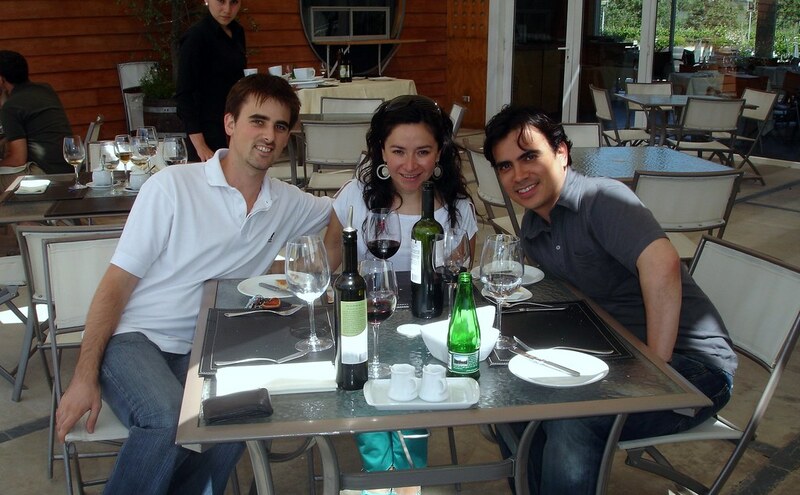 Restaurant La Concepcion (Papudo 541) is another great gourmet spot with a beautiful terrace. For something cheap, easy, and tasty, El Sandwich Cubano, in the Plaza Intendente at the bottom of the hill (across Plaza Anibal Pinto), is a favorite. Kuukai, in Plaza Victoria, serves authentic and good sushi: not common in Valpo! wow / thanks a lot for these tips. 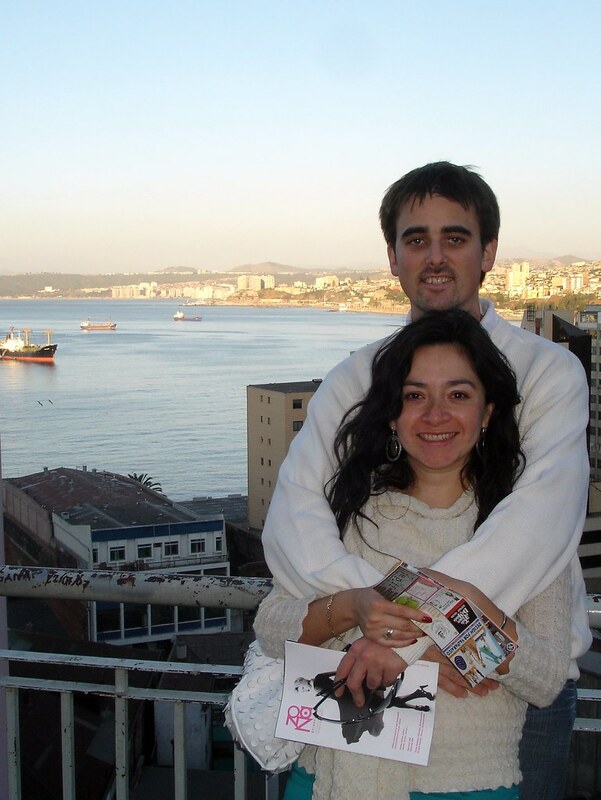 I am sure to come back to Valpo as it is so lovely and actually so close to Santiago!! I already passed on the vegie tip as I recently met with an Expat who is Vegetarian and it seems there are not so many good options in this country. Thanks again and hopefully see you there next time. Great pictures!! Looks like a really nice get away.